This year marks a decade since a few teams gathered in the Midway to participate in the first Chicago Pride Bowl. From June 23-24 over 600 members of the National Gay Flag Football League (NGFFL) will gather just off the shore of Lake Michigan at Montrose Park Lakeside Fields to celebrate the annual competition, the friendships both old and new and of course, the love of football. Hosted each year by the Chicago Metropolitan Sports Association (CMSA), an umbrella organization for LGBTQ sports in the area, over the past decade Chicago has played a crucial part in testing new rules for the NGFFL and the organization’s flagship tournament, the Gay Bowl held each fall. This year the Gay Bowl will be held in Boston over Columbus Day weekend in October. The Pride Bowl tournament has continued to grow over the years. The first two years had just one division. By year three it had grown enough to have two – an A and a B division. The next growth spurt occurred in 2016 when a women’s division was added. But this year a C division is now in place. With the addition of a C division, Pride Bowl X could prove to be one of the most influential tournaments in the past decade for the NGFFL. The Gay Bowl Task Force and National Board have been wrestling with the expansion of a C division for the past two years. 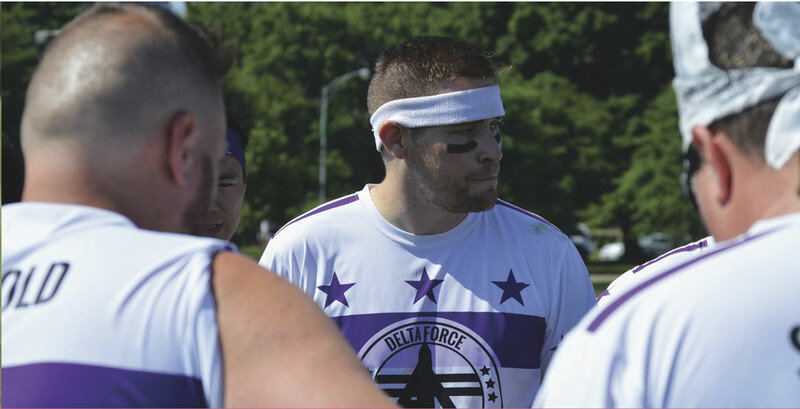 And with the foresight of Chicago Metropolitan Sports Association (CMSA) Flag Football Commissioner Matthew Herek, we may see a new development on the national stage later this year in Boston. Joining in on the fun this year will be one of the new editions to the NGFFL, Gay Bowl B Division Champions Austin Capitals. Not to be left out, both San Diego and Phoenix will be making a return to the Windy City after a three year hiatus. Evening Schedule: The events schedule for Pride Bowl is as follows (all events are from 7-10 p.m.). The CMSA’s Flag Football leadership has not only steered Pride Bowl from a tournament with 16 teams in just one division to this year with 36 teams in four divisions. It has also blossomed with partnerships. This year’s contest will be sponsored by Jim Beam, Effen Vodka, DeKuyper, Corona, Corona Light, and Modelo Especial along with Segal McCambridge Singer & Mahoney, Ltd.
With the success of the past 10 years I can’t wait to see first the names of the winners for 2017 that go in the currently empty 2017 boxes, and second, what the Pride Bowl has in store for the next 10 years. Final part in our three part Pride Month Sports Feature.